Many fields and industries have benefited from the advancement in Virtual Reality and immersive technologies. The medical field is no stranger to the application of virtual reality to address problems like body illusion, behavior control, and pain management. VR has been instrumental in replacing highly addictive drugs for pain management during physiotherapies and surgeries. Psycho-physical capabilities of virtual reality Immersion in Virtual Reality is a perception of being physically present in a non-physical environment by surrounding the user with VR images, sounds, and stimuli. For example, people can experience walking on a tightrope between two cliffs using virtual reality without actually exposing themselves to the dangers of this sport. The core concept behind this system is the inability of our brain to distinguish between real stimuli and artificially generated stimuli. The Unreal Pit: The tightrope walking experience using VR can be developed using Unreal Engine supporting high-quality graphics and real-time physics simulation. Breaking Bad Behavior: This system provokes stress which is used in classroom management application. This application provides a different stressful environment to the teachers so that they can control the students effectively by being more confident and aggressive while handling different situations. Avatar Anthropomorphism: Virtual reality has been successful in providing different avatars and body illusion to the users. For example, this system can treat over-eating in a person by giving your body an illusion of role model you aspire for had you not been over-eating. Virtual reality as a pain management tool in physiotherapy: Generally, drugs are used to make the pain bearable while doing physiotherapy and treatment of burn injuries which offer the risk of addiction. During the physiotherapy, patients are made to play the game in an immersive VR environment, reducing their recognition of pain. This system works on the principle of selective attention theory which states that our brain can pay attention to only limited number of things. VR directs our attention from the pain, thus reducing the pain sensation. Even though cybertherapy has become affordable and cheaper nowadays, but there are numerous unwanted challenges such as controlling the timeliness of the system and making the system less and less unpredictable. Medicine industry utilizing VR systems such as haptic feedback cannot compromise on the predictability of the system. Although cybertherapy has been in existence for more than 20 years, it gained much attraction and popularity in the market in recent years. 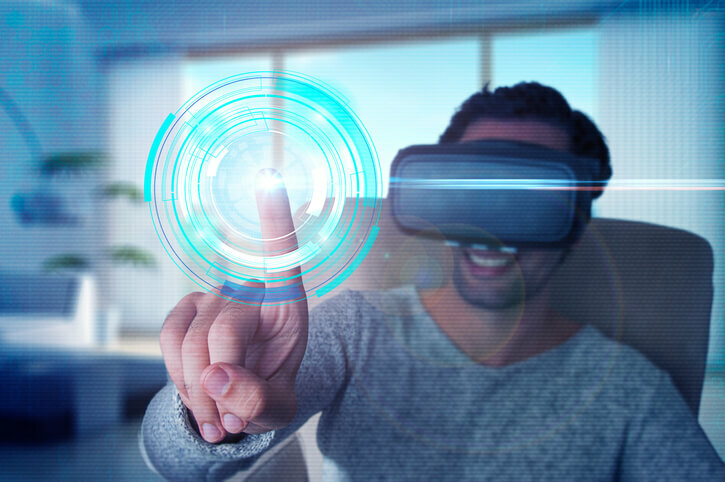 Applications of VR are growing more numerous, and the technology is slowly emerging as a tool that can be used in medicine, education and other industries. Virtual Reality, Immersive environment. Physiotherapy, Obesity, Chronic Pain. Selective Attention Theory, VR in behavioral neuroscience.